I was actually planning to video today’s trip to Winchester for my vlogmas but it was just absolutely packed and the video wouldn’t have been very good so I’ve changed it to my recipe for a perfect cosy festive night in instead (I need it to recover after today!). 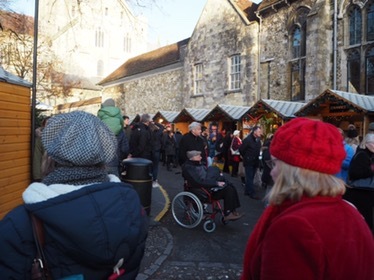 Before I start, I am not trying to slate the Christmas market, I just didn’t have the amazing festive experience I had envisioned and I was a little disappointed. 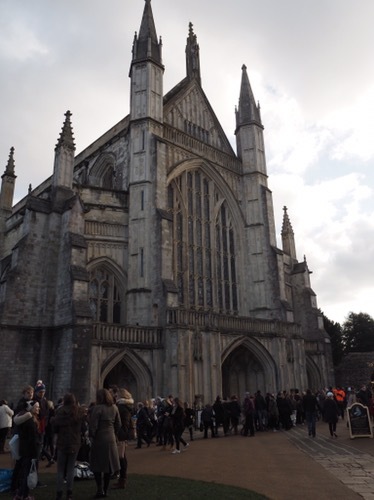 Winchester is around 45 minutes away from us in the car, so not too far but definitely a bit of an effort to get to. 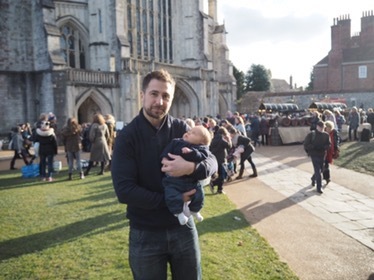 I’d heard amazing things about the Christmas market, set around the cathedral, so when Ed and I found ourselves kid free (other than Benjamin), we decided to head off for a romantic Christmassy day out. What probably didn’t help is I was feeling awful this morning after being up in the night feeling sick and experiencing hot and cold sweats, so we probably should have left it for another day. We headed out anyway and arrived at the park and ride, which is fairly conveniently located on the outskirts of town (although the buses were absolutely packed- we didn’t get on the first one, and it was freezing cold today). 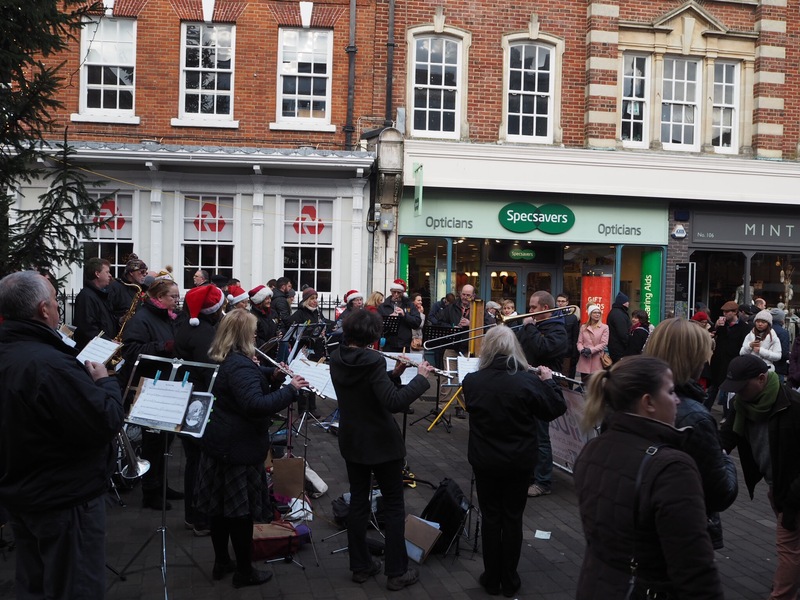 Arriving in Winchester we realised just how busy/popular a destination it is at Christmas time. 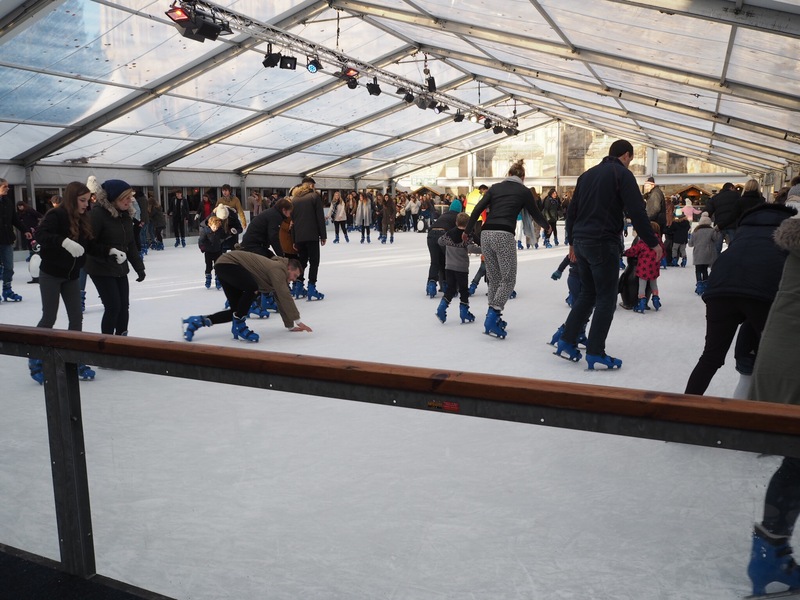 The streets were packed. The shops, that we needed to walk past to get to the cathedral from the bus stop, were packed. I’m not great with crowds on the best of days, and as I mention, I wasn’t feeling too good. I needed a drink and the toilet but every place serving food was packed with queues out the doors and only outside seating available. When we got to the cathedral I ended up queuing for half an hour to go to the toilet, and then we had to queue for entry to the market itself as it was so busy. I ended up breastfeeding in the queue as there was literally nowhere to sit anywhere. Feeling dehydrated, we finally reached the market to find queues again for the cafe. In the end Ed had to go off on a hunt for water for me. 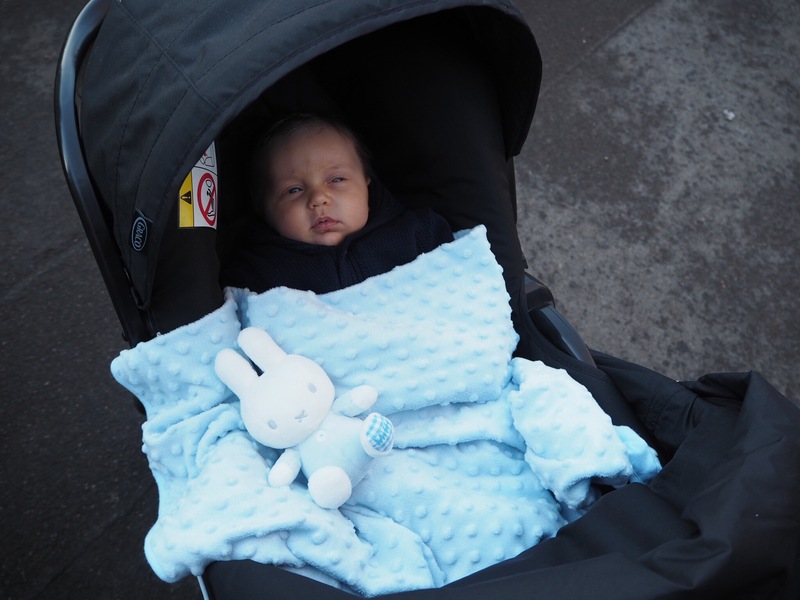 I must admit, the fact it was so busy really did have an impact on our visit, even if I had of been feeling 100% I don’t feel I would have been able to relax. 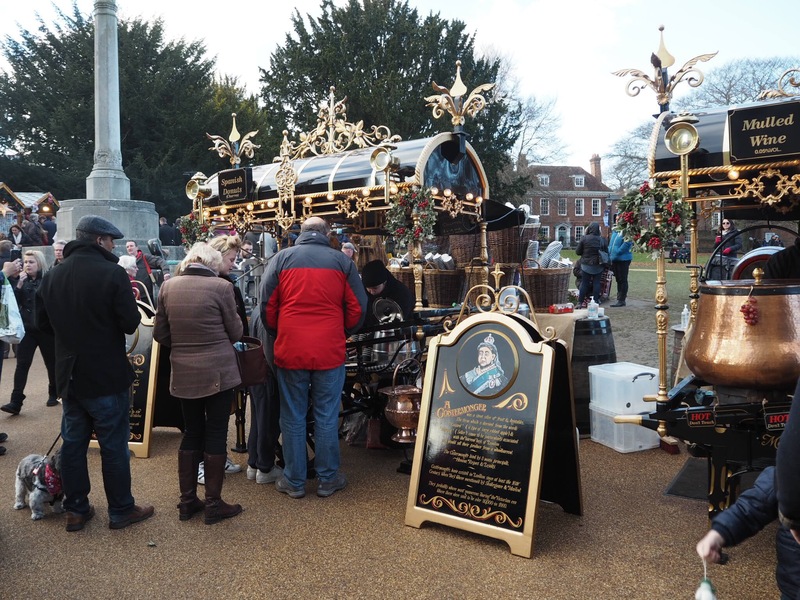 I’ve taken some photos but you can’t really appreciate the festive market with crowds of people milling around. I don’t know what the solution is. Perhaps if they anticipate how busy it gets, they could encourage booking tickets in advance. They wouldn’t have to charge, but this would hopefully limit the crowds and allow the experience to be more enjoyable all round. 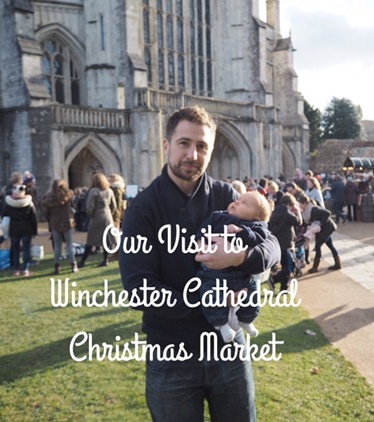 Have you been to Winchester cathedral Christmas market? Did you have a better experience? Do you have any tips for the best time to visit?